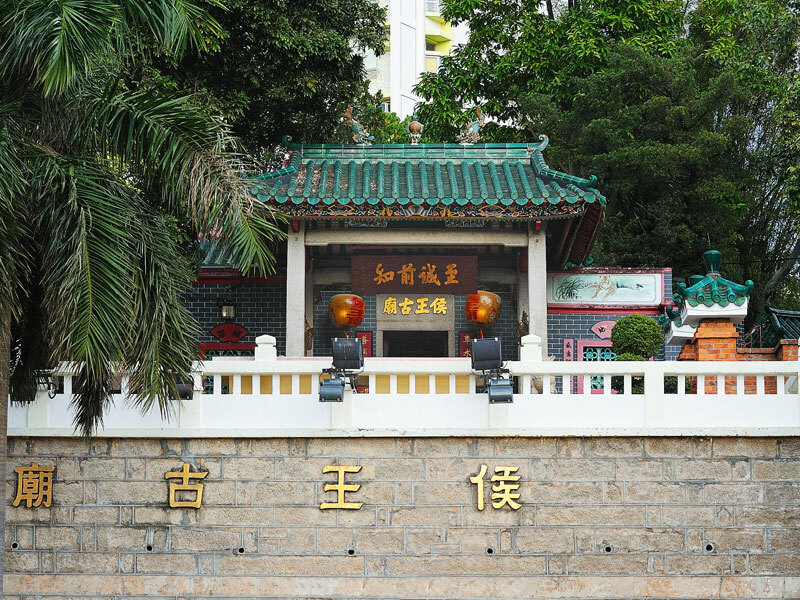 Hau Wong Temple in Kowloon City is the only temple in Kowloon dedicated to worship of Hau Wong as the main deity. Judging from the inscription on the old bell placed inside the temple, it is believed that the temple was probably built in 1730 or earlier, i.e. over 200 years ago. The temple was declared a monument in 2014. There are different versions of the temple's history. 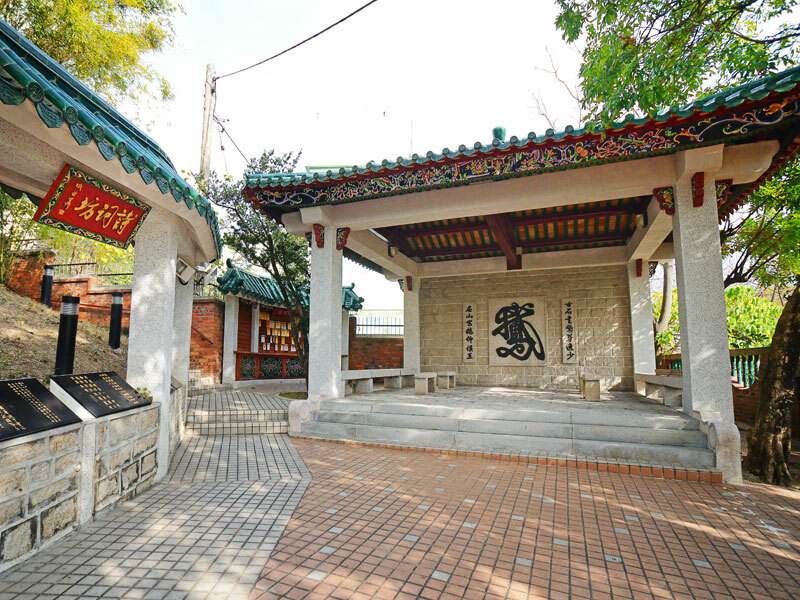 Some believe that it was built to commemorate Yeung Leung Jit, a loyal follower and a marquis of the last Emperor of the Southern Song Dynasty who fled with the royal family to Kowloon driven by the Mongols. 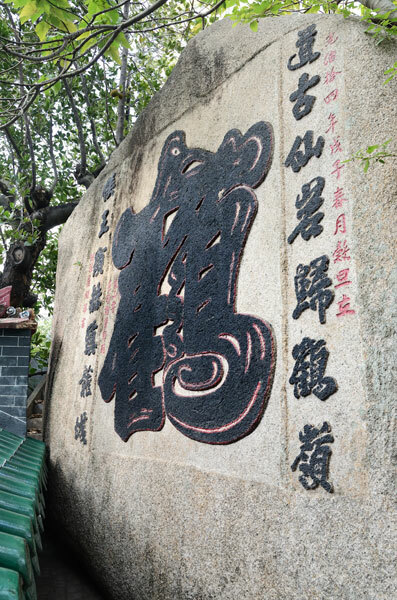 A stone tablet at the courtyard, written by Chan Pak To, a Chinese scholar and officer in the late Qing Dynasty provided an account of the story. 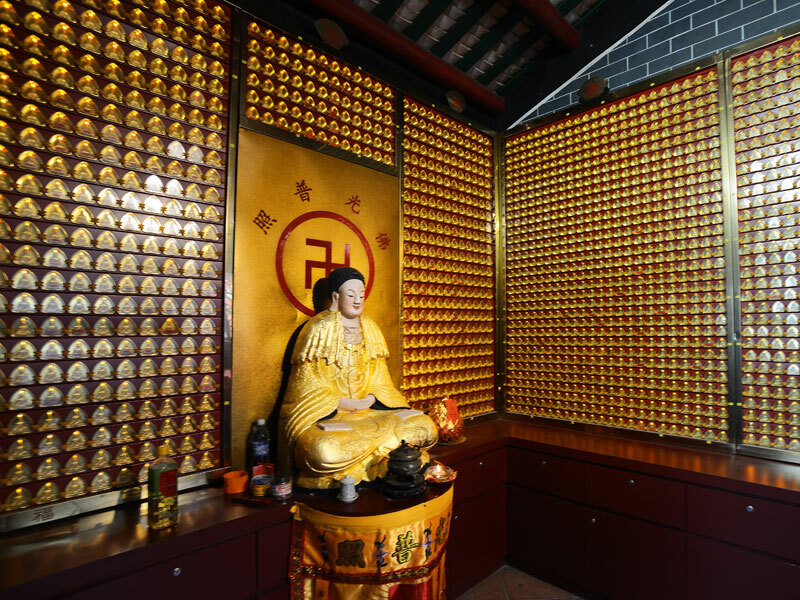 Others believe that the temple was built in memory of a villager surnamed Yeung who had cured the Emperor of the Southern Song of an illness when the emperor family fled to Kowloon City. The temple was built on an elevated terrace. It consists of a main hall, side chambers and a Chinese Garden. 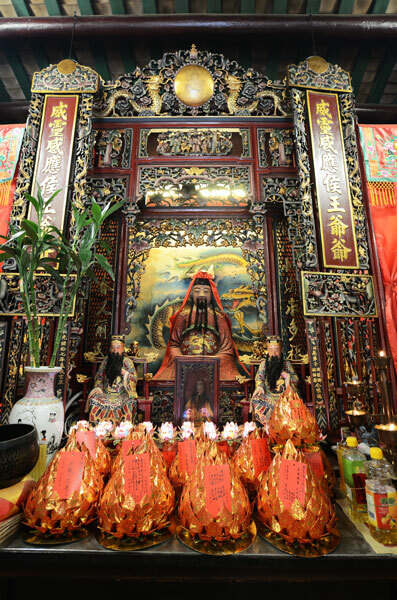 The main hall is dedicated for the worship of Hau Wong, Kwun Yum (Goddess of Mercy) and All Saints. The neighbouring Lohan Hall houses Eighteen Buddha Guardians Lohan, Three Precious Buddhas and Tai Sui (The Sixty Gods of Time). Shiwan figurine can be found at different parts of the temple. The rear hall's gables signify "Five Peaks Paying Tribute to Heaven". There are stone inscriptions of the Chinese characters "goose" and "crane" written in one brush stroke inside the pavilion in the Chinese garden and behind the temple respectively. Kowloon Walled City was a military base of the Qing army. 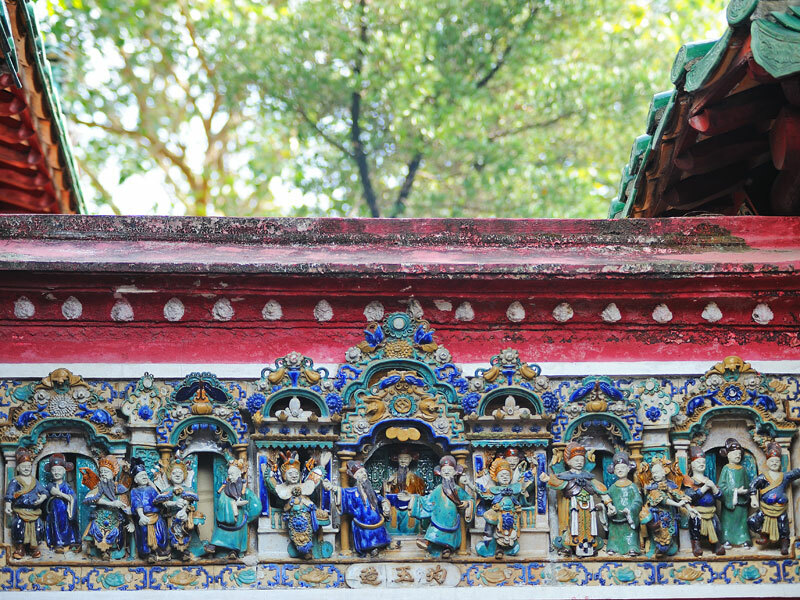 The temple was patronized by the Qing soldiers and officials. There were a number of mementos donated by them including an iron incense burner (1847) and a few pieces of plaque. One plaque was donated by Qing Commander, Zhang Yutang, to show his gratitude to the deity for blessing them to win a battle against the British troop during the Opium War. 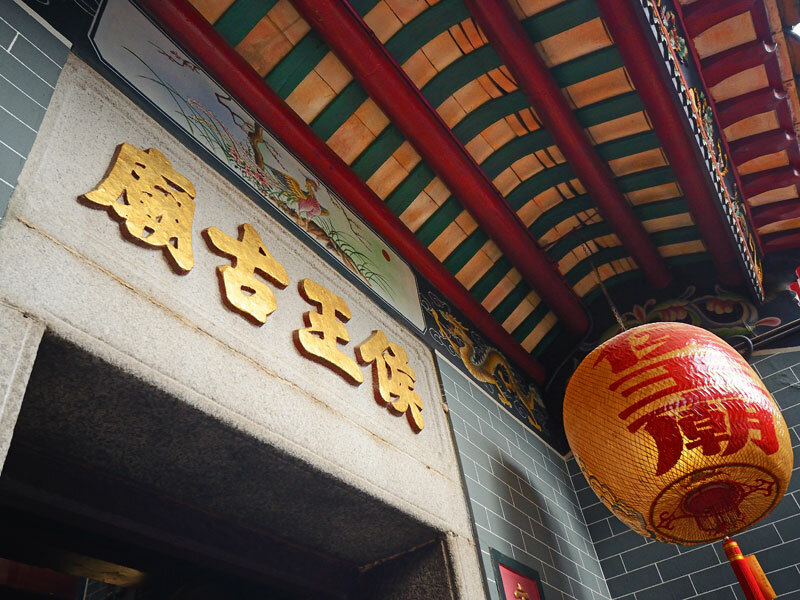 The temple and other Kowloon Walled City historical relics witnessed the history of Kowloon City and coastal defense during the Qing Dynasty. 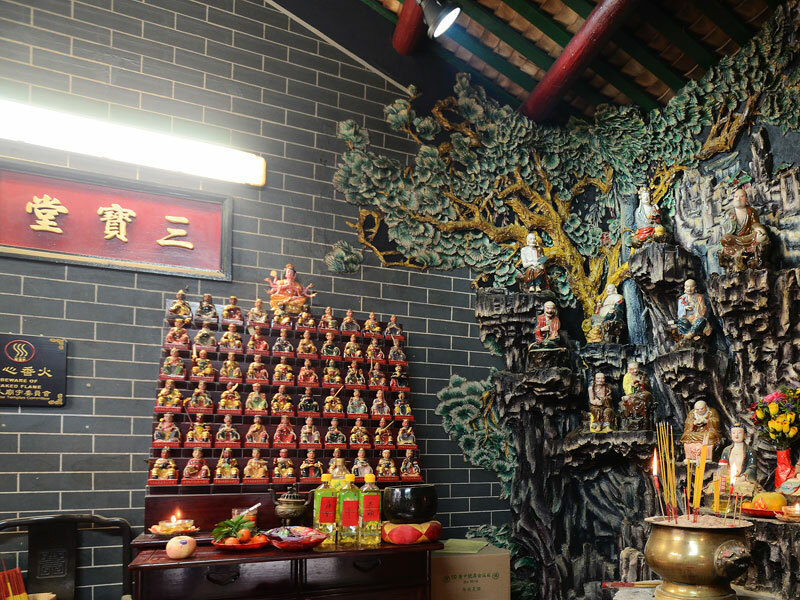 Apart from the main deity of Hau Wong, the temple also houses Kwun Yum (Goddess of Mercy), Tai Sui (The Sixty Gods of Time), All Saints, Eighteen Buddha Guardians Lohan and Three Precious Buddhas. 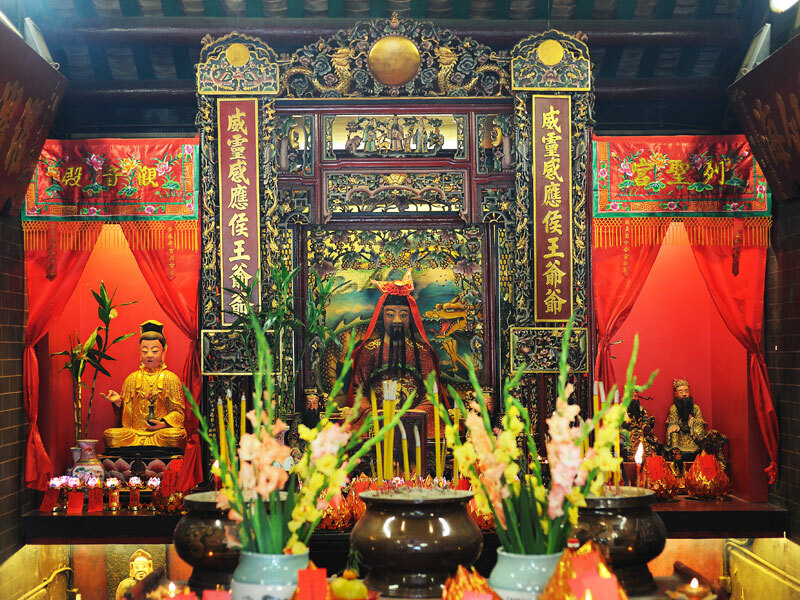 Hau Wong Festival of this temple holds on the 16th of the Sixth Lunar Month. 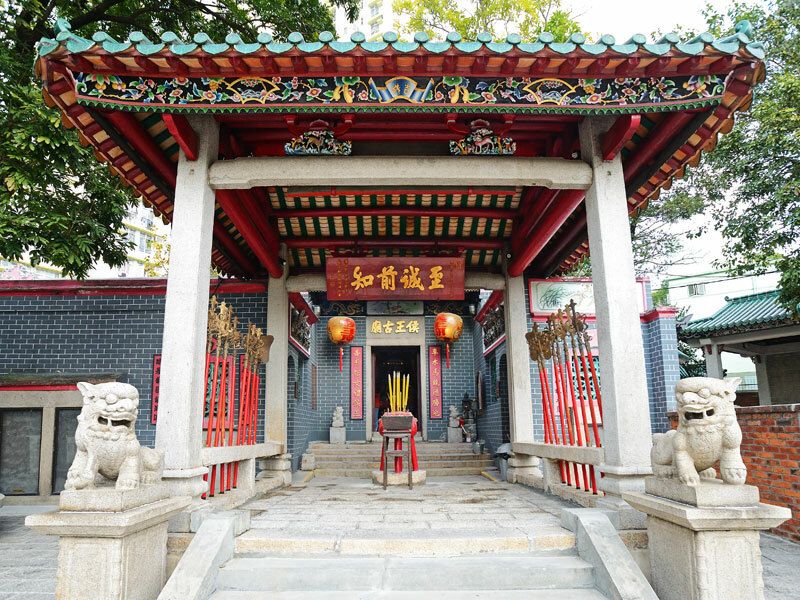 The temple underwent several renovations in 1759, 1822, 1859 and 1879 during the Qing Dynasty. It showed that there were considerable economic activities in Kowloon City district during the 19th century, thus enabling sufficient fundraising. The temple was also renovated in 1917, 1988, 2005 and 2014. 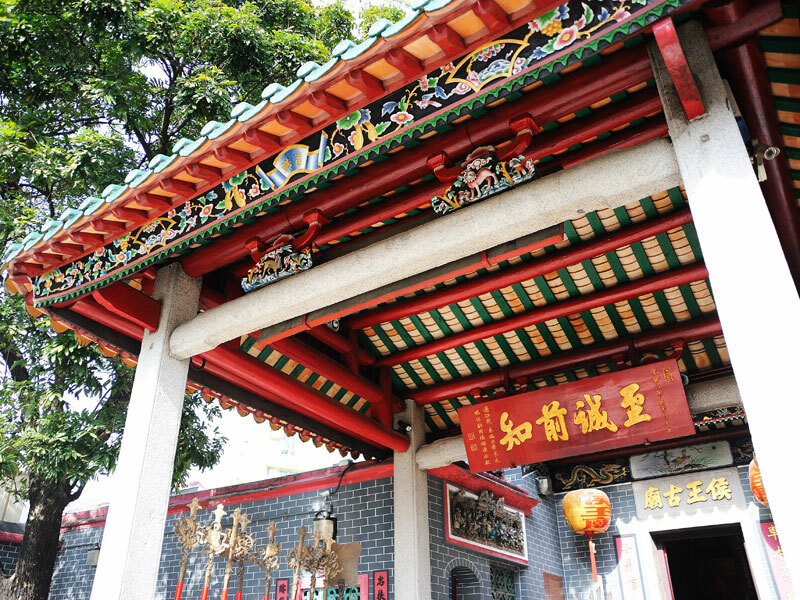 A $4 million project was carried out by the Chinese Temples Committee in 2005 to preserve its outlook. MTR - Lok Fu Exit B - follow Junction Road and walk southward for about five minutes.